Jill Stanek gained national attention as a registered nurse at the ironically-named Christ Hospital in Oak Lawn, Illinois. After an induced-labor (also known as “live-birth”) abortion there in 1999, a baby was left in a dirty utility room to die. Discovering this, Stanek went there, and held and rocked this Down syndrome child, ensuring he would not die unloved. Afterward, she fought to stop this barbaric practice and testified before Congress. 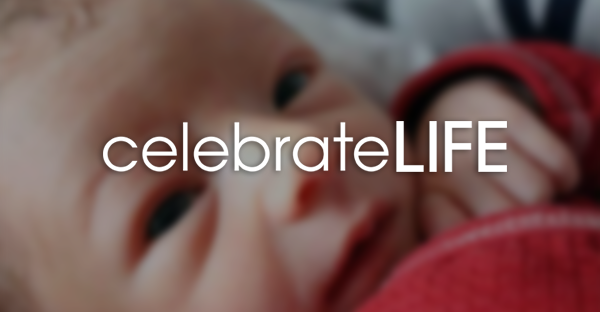 In 2002, President George W. Bush invited Stanek to attend his signing of the Born-Alive Infants Protection Act, which protects babies who survive abortion from infanticide. 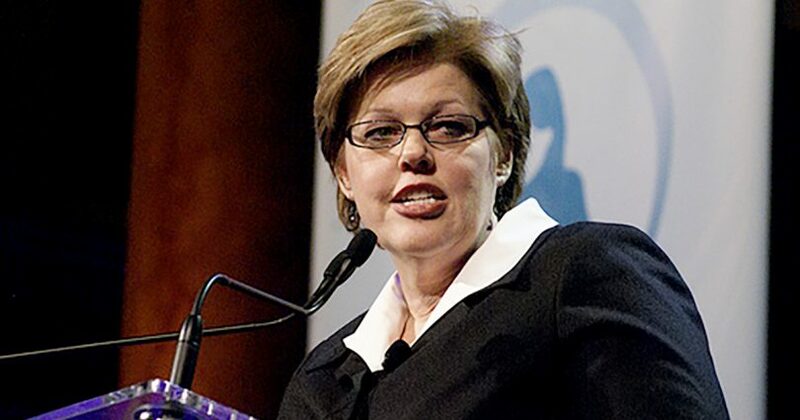 Stanek was named one of the 30 most prominent pro-life leaders of the past 30 years by World magazine in January 2003. She is a public speaker, writes a weekly column for World Net Daily (WND.com) and maintains one of the most widely read and best-known pro-life blogs, ProLife Pulse, at JillStanek.com. With regard to the above-mentioned baby, was it not possible to take him to the emergency room? JS: No, for two reasons. First, the baby was not viable. He was between 21 and 22 weeks old, so his lungs weren’t developed. It was their goal to abort before they thought the baby was viable, and in that case, they were successful. Second, you’ve only got a five minute window to save another human being who’s not breathing—any human being. If someone is drowning in a pool, you’ve only got five minutes to pull them out of the water before there is irreversible brain damage or death. So even if this baby had been viable, I received him too late to do anything to save him. You were thrust into public view as a result of the love you showed for this dying baby, which the media, thankfully, picked up on because the story was so sensational. This gave you a platform and name recognition, which you have successfully used to get the truth out. What can those who don’t have such a platform do? JS: I think the most important thing that anybody can do, first, is to work on maintaining a close relationship with God and try to be obedient to Him, and not necessarily look for a great thing to do. You’ve got to show that you’re faithful in the small areas, and then you may be given more responsibility—or may not. What is big to us is not necessarily big to God, and vice versa. We must just focus on trying to make Him happy, and He’ll take care of the rest. For instance, when I stumbled on that baby at Christ Hospital, who knew it would blow up into something as big as it did? But one night, in the middle of night, I decided not to let a baby die alone in the soiled utility room and held that baby. In that moment I did the right thing, and the next right thing was to get the administration to stop this practice, so I wrote a letter. Then the next right thing to do was to notify authorities when the administration wouldn’t stop. Then the next right thing to do was to go public, and so on. The mainstream media is undeniably infatuated with Obama. From a pro-life perspective, however, his views and policies are simply an abomination. You recently gave a talk on pro-life blogging for American Life League’s recent Training and Activism Week, as an important and effective means of disseminating the truth. How can the average person inform the public about what is really occurring? JS: The new media offer a tremendous opportunity to go around the old media, or mainstream media, which are, by and large, liberal or pro-abortion. So many times, the mainstream media don’t accurately report on our issues, or they miss the important part of the story or they just don’t understand. This is either willful or just ignorant misreporting, because the pro-life movement is a foreign culture to them. So the new media— through blogs, web pages, e-mail alerts, internet radio and podcasts—have really been doing a great job of going around the mainstream media and getting our message out to the public. Isn’t it ironic that Obama is so radically pro-abortion? He was born 12 years before Roe v. Wade. Had he been born after Roe, he would have been what society considers a prime candidate for abortion. JS: That’s absolutely true. His mom was 17, white and single when she got pregnant, and his dad was a married, black man who was several years older and from a foreign country—and this happened in 1960. So, he would have been a prime candidate to be aborted, which makes his behavior ever more puzzling. Add the fact that the black population is being hardest hit by abortion. Is the pro-life blogging community having success in holding the mainstream media’s feet to the fire—especially where Obama is concerned? As far as Obama goes, what if the new media hadn’t been here? Nothing would have gotten out about Obama’s abortion record. So, at least we got the word out to people who would listen. And we did force the media to respond. The mainstream media “bought” his sound bites, and tried to rationalize or cover up his opposition to born-alive infant protection bills. But at least we forced them to respond, and we forced the topic of induced-labor abortion out into the open. Before this last election season, if one were asked what is the most heinous act of abortion, one would probably say partial-birth abortion. Now people would probably say letting abortion survivors die. The American public didn’t know that abortion had been brought into what Father Frank Pavone has called the “fourth trimester”—that now we’re talking about infanticide. If we can get the American public to reconsider abortion—as they learn about the worst of it they might begin to say, “What in the world am I supporting? Where is this going?” And the key is to change hearts about abortion, to make it unthinkable. We have twofold work to do: Change the law and eventually pass a constitutional amendment, while also changing people’s hearts. But it can still be difficult to get through to the mainstream media, even to friendly national media. Can you recommend ways to break through this barrier? JS: I would work on blogging as well as making excellent videos to get our message out on YouTube, etc. And I would say, in this day and age, organizations need to hire a publicist. Believe you me, the other side has publicists. The media are being thrown a lot of information. It takes publicists to understand how to get our points to the right places. For instance, I am confident that there are at least two publicists working full-time on sinking abstinence education. I constantly see articles in the news about how bad abstinence education is. News organizations are being fed that information. We have to use the same tools. They’re not cheap tools, but we have to do it. I would also recommend simply engaging. Many pro-lifers don’t speak with the media, because they’re rightfully concerned we’ll be misrepresented. But I always try to take their calls. I think of the mainstream media as ignorant, i.e., uneducated and not necessarily out to get us. So I give them not only a statement, but also information. I get burned every now and then, but mostly I don’t. Despite his abhorrent views on key moral issues, President Obama appears to be very popular and precisely the political messiah the mainstream media has been awaiting since President Kennedy’s death in 1963. In your view, how should the pro-life movement proceed in these circumstances? JS: First of all, don’t be intimidated or dazzled by how Obama presents himself. I think a sense of complacency settled in with the election of President Bush, and a lot of people thought things were being taken care of. Now they don’t. The pro-life masses are awaking and getting angry. This president is demonstrating he’s far worse than being so-called pro-choice or even pro-abortion. He’s showing he is actually hostile to preborn babies and vindictive to the pro-life movement. This was evidenced when he signed the executive order rescinding President Bush’s ban on federal funding for embryonic stem cell research. At the same time, he rescinded President Bush’s executive order that aimed to encourage alternative (ethical) stem cell research. This had no impact at all on funding for embryonic stem cell research, but yet President Obama overturned that executive order. In other words, he doesn’t want taxpayer funds going for ethical stem cell alternatives. Why? That’s just heinous. That showed me how bad he really is. We will ultimately win the day, or America’s going to go down the tubes. It will cease to exist as we know it. This president is compounding past anti-life policies by enacting even more—and so fast! God is just not going to tolerate us forever. At this pace, our day of reckoning is coming sooner rather than later. I’d say that pro-lifers should be ever more vigilant about telling the truth about Obama, and use what he does to try and educate people.